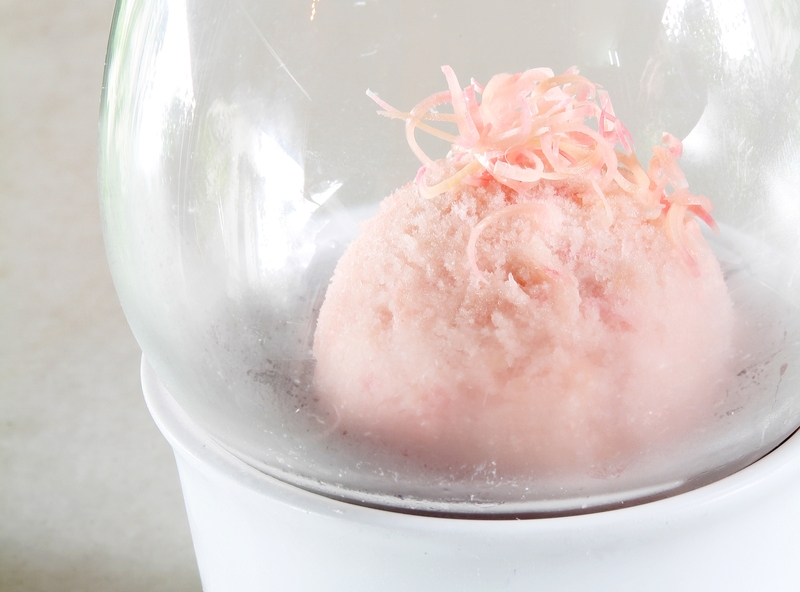 IF you’ve only ever had fruit sorbet, it’s time to try a flower sorbet. The the torch ginger flower – known locally as bunga kantan – brings an aromatic, floral, grassy, citrusy and peppery tang to this dessert. Boil water, and stir in the sugar. Set aside to cool, then blend this syrup together with the torch ginger flower until fine. Add the fruit juice, lime juice and salt, stirring well. Chill for 3 hours. Whisk the egg white until light and fluffy. Combine with torch ginger mixture. Mix well and place mixture into an ice cream maker. Follow the manufacturer’s instructions to make sorbet.